This is model Barbara Palvin. And this is her boyfriend, actor and meadery owner Dylan Sprouse. They're cute, right? I know. The only thing cuter than seeing them together is seeing them support each other in their respective careers. And Dylan did just that when Barbara strutted her stuff at the 2018 Victoria's Secret Fashion Show on Thursday. Dylan started off by making sure she had enough energy for the show, so they grabbed lunch together in the park. ...Dylan brought her Shake Shack so she could have a bite to eat right after she hit the runway. They asked me if I wanted to hand the bag off to staff before the pink carpet. I didn’t trust em with the goods. Thanks @victoriassecret for giving me the chance to see my gal strut her stuff and bring her some burgers. Giving a huge high five to my younger self btw. Dylan literally stood out in the crowd, clutching his heart. He looked like he was pledging allegiance to the love of his life and baby, it gave me chills! And when the show was over, they finally got to enjoy each other's company. If all of that doesn't make you say, "Aww," then I don't know what will! 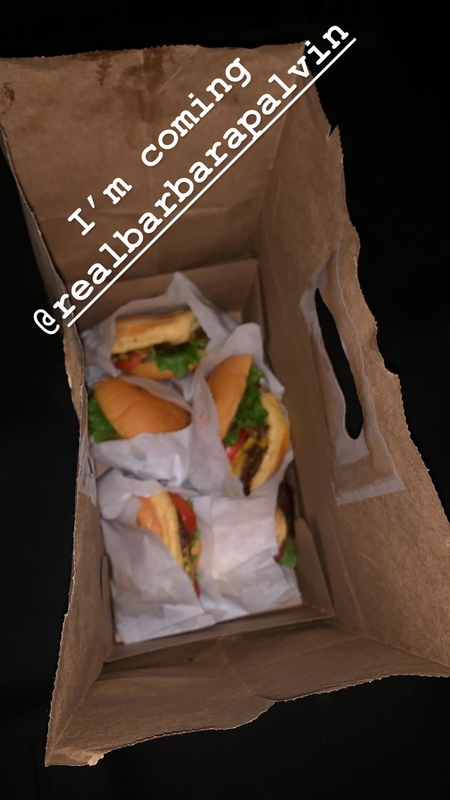 Dylan brought Barbara food so she could eat after walking the runway, not beforehand. A previous version of this post misstated the sequence.